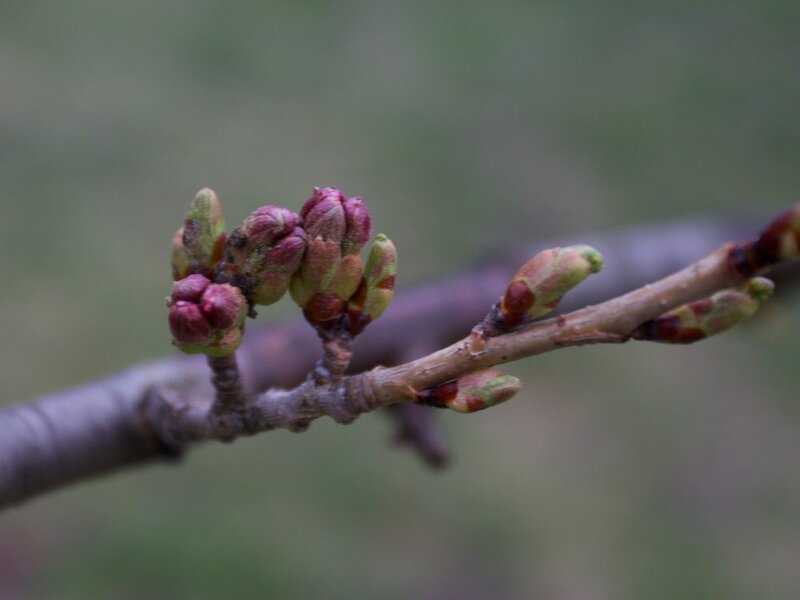 It's still possible that by this weekend we may start to see a few early blooms begin, but the real bloom will most likely have to wait until early May. The trees near the soccer fields (closest to the Bloor Street entrance) usually start to bloom earliest, and a few trees down the Hillside path towards Grenadier Pond. The blooms are getting closer - here are some more photos were taken this evening. Sakura Watch, April 21, 2013 - Buds swell and little else is to be seen.